“What if I backed you?” I couldn’t believe I was speaking so casually, all the while my heart beat at an alarming rate. Were they playing me, I wondered. Since winning nineteen million dollars in Lotto649, I had encountered many sharks who hoped to prey on my easy-going nature. A quick Google search would have revealed my three-year-old lottery win. Old news, but still there on the second and third pages. “Would one hundred thousand dollars be enough?” I asked. “In case you don’t know, I won a major lottery several years ago.” Since winning, I had received many proposals from across the province and had backed three local ventures. In each case, I had chosen to remain a silent partner. David’s right hand trembled as he poured himself another glass of wine. Susan’s mouth dropped open, and she gave a little gasp. “I take it that’s a yes,” I said. More mild protests followed, and another bottle of wine disappeared. We were all a bit tipsy when we shook on the agreement. And so Xenia was born. 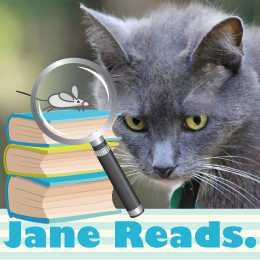 I just read a really good book, y'all — Too Many Women in the Room by Joanne Guidoccio, the second book in the Gilda Greco Mystery series. Let me tell you why. Gilda is such an interesting character. She loves to help people, and her lottery winnings make it possible to do so. 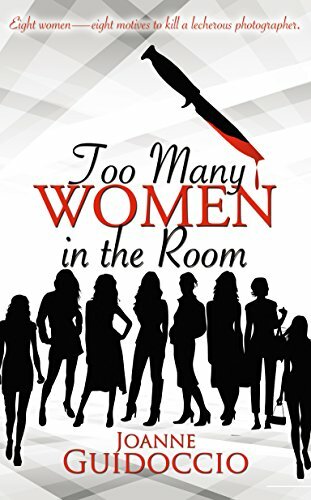 Gilda and the "other women in the room" are engaging, realistic, and fun to read about. The victim, Michael Taylor, is so beastly that it's a wonder he wasn't murdered sooner. He was introduced in A Season for Killing Blondes, where you can read additional details about despicable him. Too Many Women in the Room is the perfect blend of mystery, suspense, romance, and humor. The premise is intriguing, and kept me guessing. In the epilogue, things are looking up between Gilda and Carlo. 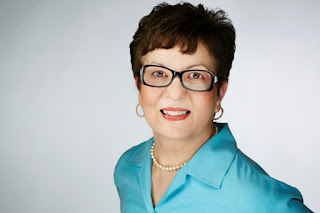 I am looking forward to reading more of Author Joanne Guidoccio's books in the series, to find out what happens next for them. I really enjoyed Too Many Women in the Room, and hereby award it Four Kitties! Note: I voluntarily reviewed an advance reader copy of Too Many Women in the Room. David Korba could cook, and he could charm. One meal — that’s all it took to win Gilda Greco’s approval and a six-figure investment in Xenia, an innovative Greek restaurant near Sudbury, Ontario. But there’s much more to the charismatic chef. David Korba, the youngest of five children, was born in Nea Makri, a seaside resort town about 25 kilometers away from Athens. His mother, a struggling artist, and his paternal grandmother doted upon him. Some would say they spoiled him and filled his head with grandiose dreams. After completing high school, David secured employment at the Club Med Athena Hotel in Nea Makri. There, he worked alongside his uncle and honed his culinary skills, working up to Sous-Chef. At age twenty-five, David started to feel restless. When his visiting sister from Canada offered to sponsor him, he jumped at the opportunity. In Toronto, he worked at several Greek restaurants on the Danforth and then decided to open his own establishment. While applying for a bank loan, David met Assunta (Susan) Pugliese, an attractive older woman, who saw the potential in the young chef. Within six months, they were married. Susan left her position and worked alongside David in his restaurant, Alekos. His brother-in-law also provided financial backing and offered to keep the books. It didn’t take long for Torontonians to discover Alekos and the charismatic chef who loved to experiment with new entrées and desserts. Each evening, lines of hungry patrons formed outside the restaurant. Eight years later, the brother-in-law divorced David’s sister and absconded with a substantial withdrawal from the restaurant’s account. Devastated, David longed to return to Nea Makri and grieve his loss. He also hoped to apply for his old job at the Athena Hotel. Unable to persuade Susan, David reluctantly agreed to a one-year experiment. They would relocate to Sudbury, Susan’s hometown, and try to re-establish themselves. If that didn’t work, they would go to Greece.